Technological developments, the proliferation of internet and opportunities provided by operators are all making mobile devices more and more the preferred medium to use the internet with every day. Besides that, the successful mobile apps which can be used in every facet of daily life for many different purposes also have a big contribution to the intense use of mobile devices. For the mobile apps that became one of the most useful tools for firms to reach their target audiences, we can say their greatest strength is the feature of push notification messages. However, when used without consideration, they may also have an adverse effect on your app’s success. So, what are the factors for making proper use of push notification messages, and to get the highest possible benefit out of them? 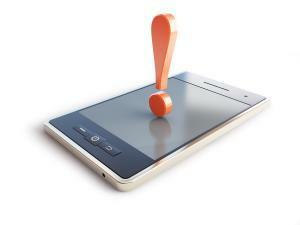 According to surveys, the rate of push messages being read reaches up to 97 percent. This data shows clearly the power of notifications in increasing brand recognition, having an active interaction with the target audience, and having the app loaded and used by users. To make proper use of such power, it bears great importance to identify the desires and needs of your target audience correctly. When you know what your target audience wants, you can make correct use of push notification messages to form powerful connections between your brand and them. Some surveys, as well as reports and analytics data from your app, can provide you with invaluable information for knowing your target audience, and understand their needs. Those who create mobile apps using MobiRoller can access all kinds of data regularly. Push notifications allow you to reach your users any time of the day. Though, do not forget that it doesn’t mean it is right to send them notifications whenever you feel like. Notifications sent in unpleasant times may create a bad image for your app and your brand, and may even cause your app to get removed from user’s device. The right times to utilize push messages can vary according to your industry, your services, and your target audience. However, if you do not want to take any chances with this, the period between 10 a.m. and 6 p.m. day time is usually the most suitable period to send push notification messages. When it comes to notification messages, sending them in right frequency is as important as sending them in right times of the day. It is a good idea to plan your sending frequence for when creating your strategy for push notification messages. You may want to take special care to make them frequent enough to regularly remind users of your app, but also distant enough to not be annoying or disturbing for users. One of the most important determinants regarding this is the content of notification message. When creating your push notification messages, it is good to assess whether that content is worth sending or not objectively. Notifications can be successful when they offer a benefit and provide useful information. Put yourself in your user’s shoes, and ask yourself if you would like receiving this message or not. This way, you can identify the notifications that are useful. You can make use of these tips to be considerate and fruitful with push notification messages which are highly critical for successful mobile apps. If you still do not have a mobile app, you can have a high-quality mobile app in minutes with professionality of MobiRoller.